The small dark biv was replaced Summer 2008. Camping is possible around the biv. "New" Sudden Valley biv Feb 2010 • By glennj. 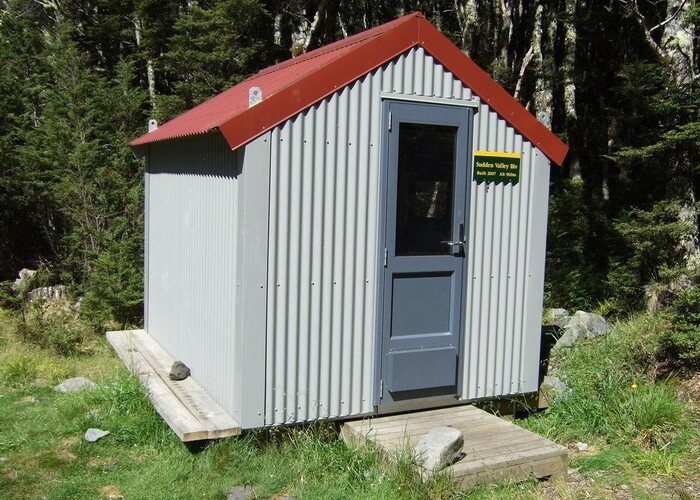 Licence: C.
Via Sudden Valley from Hawdon Shelter, or from the Hawdon Valley via Discovery Stream. Added 4 December 2006 by MatthewMatthew. 1 revision 27 October 2009 by MatthewMatthew.